These coatings are specially prepared to protect the surface from chemical attack. Here it is important that we should take proper information about the chemicals being used and the chemical fumes in nearby atmosphere before suggesting the product. We have products suitable for all mild chemicals. The details of this coating will come in relevant products section later. Special products are also manufactured as per requirement for special chemical resistance on request. These coatings used in marine weather or near high moisture area. These are mainly used to prevent the corrosion of metal and avoid the loss of the metal due to corrosion. The metal gets oxidized and loose its strength and property of supporting structure. This can be prevented with the help of suitable product. The product should be chosen after considering the main causes of the corrosion. If the corrosion is due to any other reason than moisture, then the chemical resistant coating should be used. These products are having heat resistance up to 350 deg Celsius and chemical resistance to almost all mild chemicals. Specific chemical resistance can also be achieved on request. These coatings used in marine weather or near high moisture area. These are mainly used to prevent the corrosion of metal and avoid the loss of the metal due to corrosion. The metal gets oxidized and looses its strength and property of supporting structure. This can be prevented with the help of suitable product. 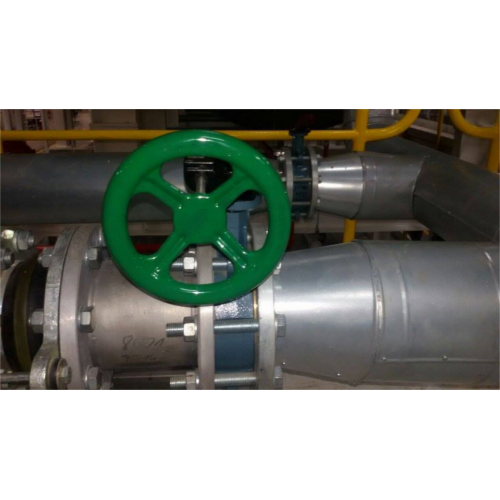 The product should be chosen after considering the main causes of the corrosion. If the corrosion is due to any other reason than moisture, then the chemical resistant coating should be used. 1) UGAM Anticorrosive EP product is used in outdoor areas of exposed steel. 2) UGAM Anticorrosive EP provides very good weather resistance for protection of steel. 3) Once used this does not need re application for about ten years. 4) UGAM Anticorrosive EP also is useful over concrete surfaces near water like bridges or in heavy rainfall areas. Bridges, flyovers are coated with UGAM Anticorrosive EP. 5) Multi-storey buildings are also coated with UGAM Anticorrosive EP. 6) UGAM Anticorrosive EP has excellent U V resistance, chemical resistance and temperature resistance up to 140 degrees C.
7) This can be applied to 100 microns thickness in one coat with airless spray or brush. 1) UGAM ANTICORROSIVE EP is easy to use. 2) First prepare the surface with shot blasting in case of steel, high pressure water spray with minimum 300 bar pressure for concrete. In case high pressure machine is not available, wash with soap water and wire brush scrapping. 3) Apply UGAM PRIMER FOR EPOXY with brush, spray or roller. It is two pack system which need mixing of base with hardener in given ratio. 4) After mixing of base and hardener, UGAM THINNER FOR EPOXY needs to be added to achieve required viscosity as per application procedure. 5) Allow it to cure overnight. 6) Apply UGAM ANTICORROSIVE EP first coat with brush, spray or roller as required. 7) After mixing of base and hardener, UGAM THINNER FOR EPOXY needs to be added to achieve required viscosity as per application procedure. 8) Allow it to cure overnight. 9) Then apply second coat of UGAM ANTICORROSIVE EP by again mixing base+hardener+thinner as above. 10) The surface will be ready to use after 48 hours of final coating. This type of coatings cures due to chemical reaction between base and hardener. Here the hardener is added just before application of the coating. Only required quantity of the paint base should be mixed with hardener and applied immediately. The mixing ratio of base to hardener differs with type of medium and is usually defined by manufacturer of the coating. These coatings can be made with 100 % solid content and solvent free as per requirement. These coatings are specially prepared to protect the surface from chemical attack. Here it is important that we should take proper information about the chemicals being used and the chemical fumes in nearby atmosphere before suggesting the product. We have products suitable for all mild chemicals. The details of this coating will come in relevant products section later. 1) Our organization offers a wide range of Chemical Resistant Paints, which finds extensive application in Chemical industry. 2) These have excellent chemical resistance properties as our range is formulated using quality ingredients. 3) UGAM High Chemical Resistant Coatings is a high functionality, two component thermoset polymer coating. When cured, the UGAM High Chemical Resistant Coatings high cross-link density is unlike other coatings. UGAM High Chemical Resistant Coatings delivers significantly improved product performance and anti-corrosion resistance. 4) UGAM High Chemical Resistant Coating is formulated with a unique polymer designed and engineered with high functionality. This bridged aromatic backbone structure, when polymerized, forms up to 784 cross-links. 5) UGAM High Chemical Resistant Coating cross-links predominately through an ether (carbon-oxygen-carbon) linkage. 6) This eliminates high concentrations of hydroxyl groups (found in epoxies) and precludes formation of ester groups (found in vinyl esters) which are subject to hydrolysis and acid attack. 7) UGAM High Chemical Resistant Coating can be ambient cured or low temperature forced air cured depending on substrate and service conditions. 8) The Paint also provides chemical resistance to all mild acids and mild alkalis. 9) We can procure our range as per the requirement of our clients having special chemical resistance properties. Depending upon the surrounding environment, we design special grade of chemical resistant paint. 11) UGAM High Chemical Resistant Coating is generally recognized as safe (GRAS) for food grade cargoes. These coatings used in marine weather or near high moisture area. These are mainly used to prevent the corrosion of metal and avoid the loss of the metal due to corrosion. The metal gets oxidized and loses its strength and property of supporting structure. This can be prevented with the help of suitable product. The product should be chosen after considering the main causes of the corrosion. 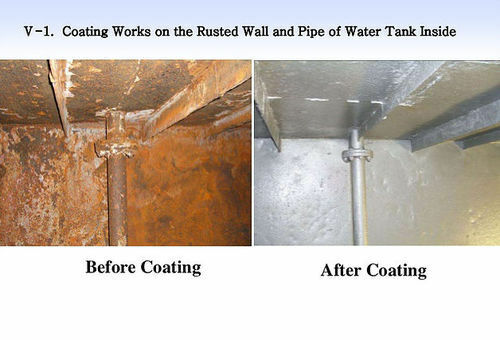 If the corrosion is due to any other reason than moisture, then the chemical resistant coating should be used. 1) Ugam Anticorrosive PU Product Is Used In Outdoor Areas Of Exposed Steel. 2) UGAM P U TOPCOAT is used for prevention of corrosion in coastal areas. 3) It is used over UGAM ANTICORROSIVE EPOXY PRIMER FOR COASTAL AREAS. 4) This provides duel system of anticorrosion in coastal areas. 5) This is proven system for prevention of corrosion. 6) Since P U is having very high weathering resistance, it is used in topcoat. 7) Special ingredients make it anticorrosive and protect steel surface. 8) Ugam Anti corrosive PU Provides Very Good Weather Resistance For Protection Of Steel. 9) Ugam Anti corrosive PU Coating Is Far Superior To Epoxy Coatings As This Is Having Very Good Weather Resistance. 10) Once Used This Does Not Need Re Application For About Ten Years. 11) Ugam Anti corrosive PU Also Is Useful over Concrete Surfaces near Water like Bridges or in Heavy Rainfall Areas. Bridges, Flyovers Are Coated With Ugam Anti corrosive PU. 12) Multi-storey Buildings Are Also Coated With Ugam Anti corrosive PU. 13) This Coating Provides Very Nice Aesthetic Look Too! 14) Ugam Anti corrosive PU Is Most Suitable Coating for Protection As Well As Aesthetic Value. 1) UGAM ANTICORROSIVE EP /PU system is easy to use. 3) Apply UGAM EPOXY PRIMER with brush, spray or roller. It is two pack system which need mixing of base with hardener in given ratio. 6) Apply UGAM ANTICORROSIVE PU first coat with brush, spray or roller as required. Since this is also two pack system, it also requires mixing of base with hardener in Given ratio before application. 7) After mixing of base and hardener, UGAM THINNER FOR EPOXY / PU need to be added to achieve required viscosity as per application procedure. 9) Then apply second coat of UGAM ANTICORROSIVE PU by again mixing base+hardener+thinner as above. 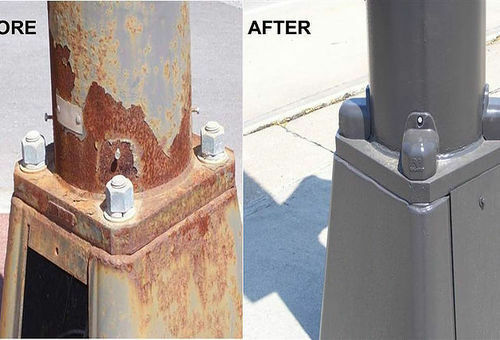 Looking for “Corrosion Resistant Coatings”?